Home > Bookstores > Rarities etc. Chronicle, San Francisco, 1988. Early Edition. Softcover. Fine Condition/No Dust Jacket. Inscribed by Author. CONRAD, BARNABY III. 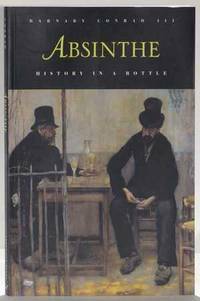 Absinthe, History in a Bottle, San Francisco: Chronicle Books, 1988. Quarto, later printing, pp. xi, 160, wraps, color illustration, inscribed by the author on the title page to a New York gallery owner. Absinthe with all its cultural impact, including art and literature, with a modern scientific analysis of the liquid. J.A. Hill, New York, 1904. Later Edition. Hardcover (Original Cloth). Near Fine Condition/No Dust Jacket. ILES, GEORGE. 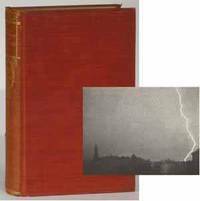 Flame, Electricity and the Camera, Man's Progress From the First Kindling of Fire to the Wireless Telegraph and the Photography of Color, New York: J.A. Hill, 1904. Octavo, edition de luxe of a 1900 release, pp. xv, 398, red cloth boards with gilt lettering a decoration on spine, gravure frontis of the author, top edge gilt, some leaves unopened, halftones and line drawings. An unusual approach to the history of photography, beginning with the discovery of fire and working in seemingly tangential inventions like the telegraph. The deluxe-ness of this edition seems to be its heavier binding than the original, plus a frontis gravure. Dodd, Mead, New York, undated. Edition Unstated. Hardcover (Original Cloth). Good Condition/No Dust Jacket. [ILLUSTRATION.] 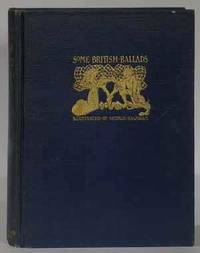 Some British Ballads, New York: Dodd, Mead, undated. Quarto, priority unknown here, pp. 170, blue cloth boards with gilt lettering to spine and front, gilt illustrations stamped to front and back, 16 color illustrations by Arthur Rackham tipped onto card stock. Forty-four ballads including some by Francis James Child. Putnam, New York. Later Edition. Hardcover (Original Cloth). Fine Condition/No Dust Jacket. DIEDRICH KNICKERBOCKER (WASHINGTON IRVING). A History of New York in 2 volumes, New York: Putnam's, 1893. Octavos, Van Twiller edition, pp. xvii, 364; xv, 379, white cloth boards with gilt and blue stamped lettering, devices and vignettes to spine and fronts, top edges gilt, extensive illustration by E.W. Kemble in text, plates and historiated initials. Ownership signature on free front endpaper. 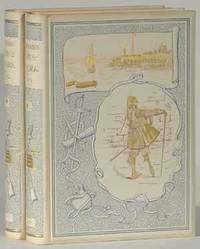 A Washington Irving classic with one of the 19th century's more prominent illustrators. Putnam, New York, 1892. Revised Edition. Hardcover (Original Cloth). Very Good Condition/No Dust Jacket. IRVING, WASHINGTON. The Alhambra, New York: Putnam's, 1892. Large octavos, Author's Revised Edition, pp. 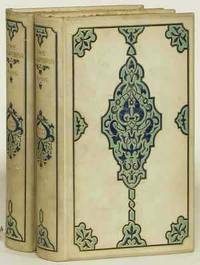 xii, 266; vi, 312, 31 photogravure plates total, cream cloth boards with Moorish-themed decoration in green, gilt and blue, gilt lettering on spines, top edges gilt, other edges untrimmed, ribbon bookmarks bound in, some leaves are still unopened, "Darro edition." Based on a trip the author took in 1829, with his revisions of 1851 here reprinted with beautiful gravure illustration. Good and tight but boards foxed at edges and darkening with a few stains on the lower panels. National Museum of Art, Tokyo, 1999. Edition Unstated. Softcover. As New/No Dust Jacket. 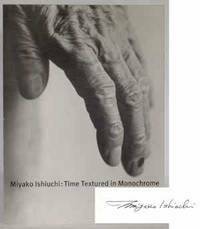 MIYAKO ISHIUCHI. Time Textured in Monochrome, Tokyo: National Museum of Art, 1999. Quarto, catalog for an exhibition, pp. 107, wraps, halftones, text in Japanese and English, signed on the half-title page by Ishiuchi. Covers the photographer's whole career, in which she was occupied with the surface of things, particularly aging buildings and people. Fine, no flaws. Size: Quarto. Text is in multiple languages. Text body is clean, and free from previous owner annotation, underlining and highlighting. Binding is tight, covers and spine fully intact. All edges clean, neat and free of foxing. Quantity Available: 1. Shipped Weight: Under 1 kilo. Category: Photography; Japan; 1990s; Art & Design. Pictures of this item not already displayed here available upon request. Inventory No: 54121. .